Acne is a problem most of us experience at least once in life. If you go through your entire life without any acne problems, you are one of the lucky ones. When it comes to acne, we mostly think about acne on our face. This is a problem that starts at teenage years, as our hormones start working, and that can last through our life. But acne can appear on other parts of the body as well. And while scalp acne is less common, it can still be troublesome. In the same way, clogged pores cause acne on the face, they can cause acne on the scalp as well. One of the most effective ways to treat acne on the scalp is to get yourself the best shampoo for scalp acne. 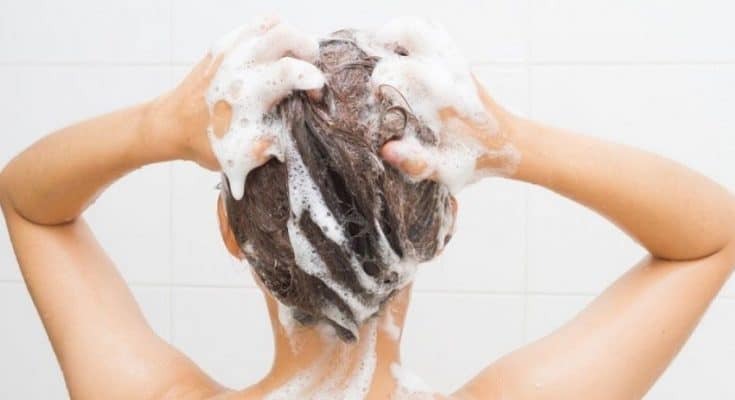 We will give you our five choices, but also explain what causes scalp acne, how you can prevent them, and what ingredients to look for in a shampoo. 3 Can you get scalp acne? 4 What makes the best shampoo for scalp acne? 5 What do you need to know before using shampoo for scalp acne? Just like with acne and pimples anywhere on the body, scalp acne appear when a pore or hair follicle gets clogged with dead skin cells or oil. Sebum is the natural oil of the skin, which helps keep your skin moisturized. But when the oil clogs your pores, pimples appear. In addition, yeast, bacteria, or mites, can also clog your pores and cause a reaction. Can you get scalp acne? The easy answer to who can get scalp acne is anyone. As with all acne problems, nobody is spared. However, there are certain risk factors that make some people more prone to scalp acne than others. For example, if you suffer from dandruff, you are more likely to get scalp acne as well. The reasoning is dandruff is a problem with the skin on your scalp, and once your skin gets inflamed, acne can follow. Therefore, if you have a dandruff issue, it is highly recommendable that you take care of the problem to avoid scalp acne. What makes the best shampoo for scalp acne? Some shampoos are specially formulated for scalp acne. Getting a shampoo with a formula for scalp acne is the easiest way to get rid of scalp acne. They might be little too hard to find, but they are there. What do you need to know before using shampoo for scalp acne? There is a right and wrong way of using shampoo for scalp acne. Before you start using shampoos for acne, you need to understand while some things. For example, while salicylic acid is useful for getting rid of scalp acne, this drying ingredient can cause your scalp to get dry. That means you should not use it for more than two times per week. Otherwise, you can harm your scalp and hair. And most importantly, once your scalp is back to normal, you should not use a shampoo for scalp acne anymore. With that in mind, how to use these shampoos? Here is a step by step guide. Be careful if you have colored hair, as some shampoos can lighten or change the appearance of your colored hair. As your condition improves, reduce the frequency by which you use the shampoo. We mentioned previously that salicylic acid is one of the best ingredients for combating acne. This shampoo with salicylic acid as the main ingredient is marketed as one that will deliver quick results. In addition to helping with acne, you can use it to treat other skin conditions on your scalp, including psoriasis and dry scalp. 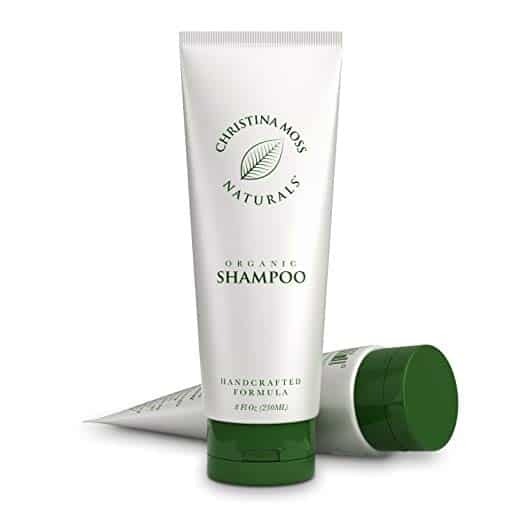 One of the most important features of the shampoo is that it is free of fragrances. That way, even though you have sensitive skin, there will be no irritation. And if you have flaky and itchy scalp, and dandruff problems, this shampoo will help with that as well. Maple Holistics does not market this shampoo as an anti-acne shampoo. But one look at the active ingredients, and you understand how it helps. The shampoo is just loaded with good stuff like rosemary oil, tea tree oil, argan oil, lavender oil, jojoba oil, and botanical keratin. Plus, this is closest to natural shampoo as you can get. 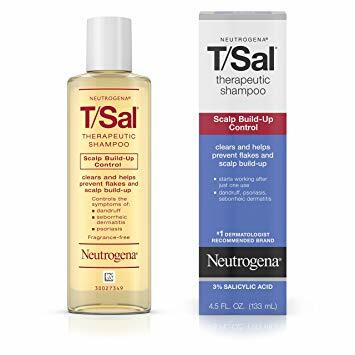 Designed for both men and women, and people with colored hair or sensitive scalp, the formula helps with an itchy and flaky scalp, oily hair, head lice, dandruff, and of course, acne problems. 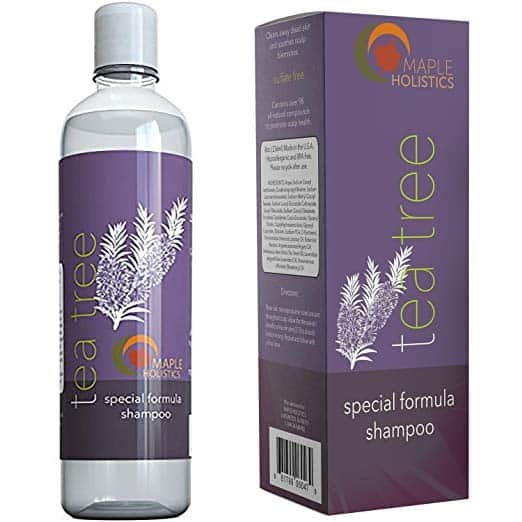 In addition, this shampoo has ingredients with antifungal and antibacterial properties, which will help you clean up your scalp from any impurities and buildup. Use it for mild and moderate problems of acne and dandruff. If you are suffering from severe acne problem, you might need a different and more potent shampoo with some salicylic acid. Keeva is a relatively new brand in the business. However, thanks to their quality products, the company is progressing rather well. Their flagship products are designed toward anti-acne solutions. This 3 in 1 shampoo is formulated with the purest and most potent organic ingredients you can find. Good for solving acne problems and psoriasis. The shampoo works by hydrating and restoring the moisture levels of your hair, and then nourishing and revitalizing your scalp thanks to argan and coconut oil. Gives you an all-natural powerful boost to your hair. When you use a medicinal shampoo for acne, usually, they can be drying. That is why this 2 in 1 shampoo is so valuable. The conditioner combo makes sure there is no dryness on your scalp, which is actually a preventive measure for acne. 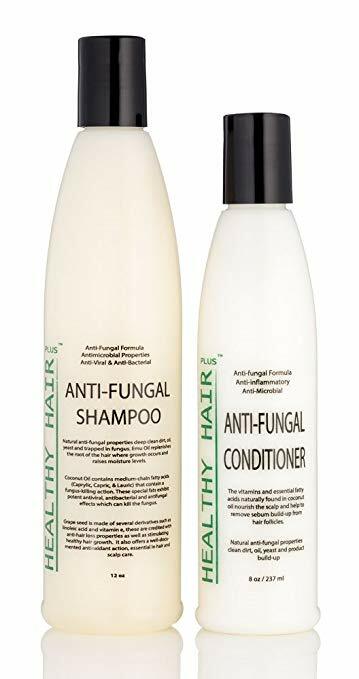 An antifungal shampoo, it helps treat acne from all angles, including itching, redness, and inflammation. What is unique about this shampoo is the addition of emu oil. It is an antifungal ingredient, but it is not that commonly used. Emu oil is often used in products for dry skin, and in this shampoo, it helps for calming soreness. 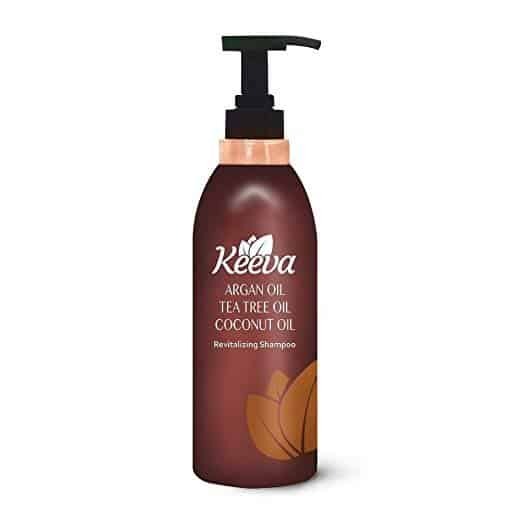 The best part is, this shampoo absorbs deep into the scalp and stops the acne problem at the root. The all-natural solution will make your hair look healthy and beautiful. Best part: it is safe for all hair types. It improves the condition of your hair with proven results. Marketed as vegan and cruelty-free, this shampoo was not tested on animals. Does the job by gently and thoroughly washing your hair without stripping any oils, and without drying. In the same time, the shampoo nourishes your hair with helpful ingredients. Because there are no harmful chemicals, you can use on sensitive skin or scalp. Scalp hygiene is the most important factor in making sure you do not experience scalp acne. If your hygiene is solid and consistent, your chances of avoiding clogged pores are higher. A good rule of thumb is to wash your hair when it feels oily and after a workout.